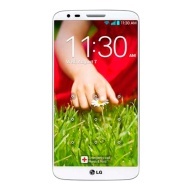 alaTest has collected and analyzed 10589 reviews of LG G2. The average rating for this product is 4.4/5, compared to an average rating of 4.3/5 for other Cell phones for all reviews. People are impressed by the battery and screen. The size and usability are also mentioned favorably. We analyzed user and expert ratings, product age and more factors. Compared to other Cell phones the LG G2 is awarded an overall alaScore™ of 90/100 = Excellent quality. We've been enjoying an open season for a while, and yeah, the shootouts will keep on coming but it's a different kind of game now. What we have here is exactly the type that can, and will, see the hunted become the hunter. It's been a well documented and, some might say, overly-teased affair but it has come to an end. The LG G2 flagship is upon us here in New York city and it brings a ton of innovation in one of the most compact over-5" bodies out there on the market. The Android-powered LG G2 is both super-sized and super-powerful, but it doesn't quite have the chops to unseat the mighty Galaxy S4 as our Editors' Choice smartphone on T-Mobile. Huge screen. Super-fast processor. Multitasking. Processor benefit doesn't play out in apps. Some bugs. Not the best voice quality. The LG G2 is both super-sized and super-powerful, but it doesn't quite match the mighty Samsung Galaxy S4, our Editors' Choice Android smartphone on Verizon. The Android-powered LG G2 is both super-sized and super-powerful, but it doesn't quite have the chops to unseat the mighty Galaxy S4 as our Editors' Choice smartphone on AT&T. Excellent battery life. Huge screen. Super-fast processor. Multitasking. Much of this stuff is interesting; I just wish you had a choice whether to install it or not.